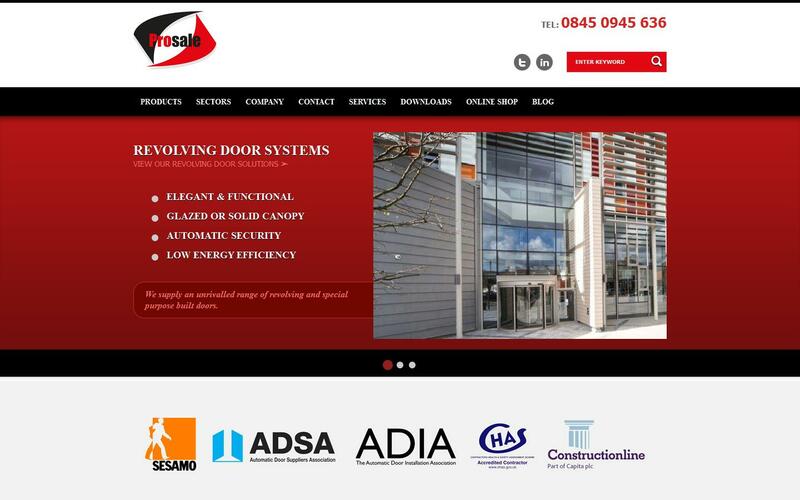 Prosale, based in Quedgeley, Gloucester are leading suppliers of high quality, professional entrance solutions. With over 20 years in the automatic door industry, Mike Coggins and his wife Debby formed Prosale to meet the demands of the UK market place. Operating from their automatic door warehouse and offices, Prosale, are leading experts in entrance door systems from revolving doors to swinging and sliding doors we have the entrance system to meet your requirements. Prosale have installed Sliding and Swinging Doors throughout the UK over the past several years. Within our Sliding Door range the Millennium Light is our favourite product catering for 80% of Sliding Door installations. The Millennium Pratika comes into its own where the sliding doors are heavier, with the Millennium Pratika we have automated Sliding Doors in excess of 250KGs each. The third product in the sliding door range is the Millennium Telescopica and can be used to maximise a clear opening width where space is an issue, also the Millennium Telescopica has been installed at Tesco supermarkets. Our range of Swing Door operators cater for every need whether it be low energy which is catered for by our Proswing operator or fully automatic which is catered for by our ProswingR1. We have installed Swing Door operators in such high street names as Starbucks, Costa Coffee and the Marriott Hotel in Twickenham. We are continually monitoring the door market place and add new solutions as and when the market research dictates. Prosale prides itself in being able to supply, install and service your automatic door system correctly relying on our skilled engineers, allowing us to become the premier automatic door company in the South West. With sustained growth, Prosale will continue to establish itself as a key player in the field of door automation. Visit our Prosale website or contact our experienced automation team for more details.